Hello, how are you? Ni hao, how are you? Just FYI, ‘ni hao’ means ‘hello’ in Chinese. There are actually 10 ways to say hello – all used in different circumstances – in Korean so he really had a good chance of getting it right if he’d have been speking the correct language. Still, the unidentified woman took Morrison’s mischaracterisation of her nationality and assumption of her ethnicity in her stride and deftly corrected him. She quickly replied ‘No, no, no, I’m Korean’. 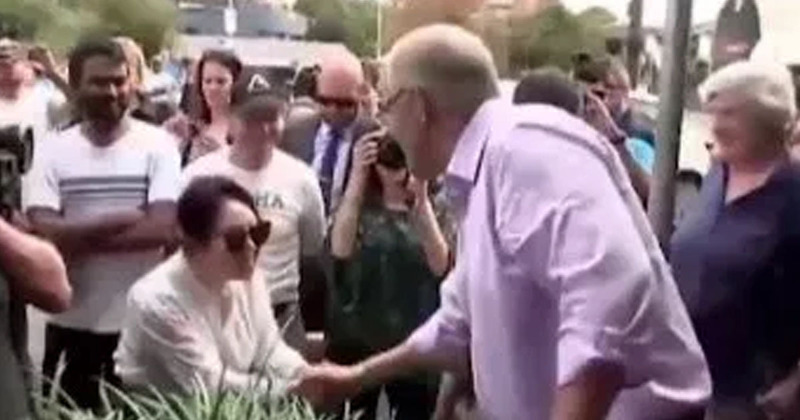 To make matters a little more awkward, the exchange came mere moments after he had visited a Korean restaurant in Strathfield. The area has sizeable Chinese and Korean migrant populations – and one Twitter user said ‘to assume they are Chinese is racist and quite stupid’. The thing is that you can’t assume. But if you are talking in the local language of the area it’s Korean and English in Strathfield. And if he’d been informed but still token he should assume Korean not Chinese in Strathfield. The continued to point out it showed little local knowledge of the area from the Liberal party candidate and current leader. Michael Hing, a Sydney comedian who this week announced a bid for election to Australia’s senate after starting a party named One Asian, joked about the incident. My first policy if elected will be mandatory ‘Which kind of Asian are they?’ training for Scott Morrison. He concluded by dubbing the exchange ‘absolute madness’ from the Prime Minister. A good start.